Drive in luxurious style in the new 2018 Volvo S60 in Phoenix. The new luxury vehicle is sure to spark interest with its promise to deliver a smooth and powerful drive while still being fuel efficient. Many 2018 Volvo S60 reviews highlight on the plethora of trim levels available for new car buyers to pick. As a result, the 2018 Volvo S60 is perfect for those seeking new thrills and a luxurious drive. With four different trim levels, each one is su¬re to make an impression on you. Starting out with the standard-wheelbase features, you have the option of the T5 Dynamic and the T6 AWD R-Design Platinum. The T5 Dynamic and T6 AWD R-Design Platinum come with Sensus smartphone app integration, heated mirrors, xenon headlights, driver-seat memory settings and comfortable power seats. Moving up the trim ladder, you have the option of the longer-wheelbase trim levels such as the T5 Inscription and T5 Inscription Platinum. These two trims offer an amazing 12-speaker Harman Kardon sound system, a sport-tuned suspension, navigation and paddle shifters. The 2018 Volvo S60 in Phoenix features an eight-speed geartronic automatic transmission that ensures you are always in the correct gear, whether it be for optimal engine response and drivability, or a smoother driving experience with the highest fuel efficiency. If you are in the mood for dynamic driving, just shift back to manual mode. With four-cylinder turbocharged and supercharged engines, the S60 range offers performance equivalent to six and even eight-cylinder powerhouses. Well-known for safety, Volvo is living up to the reputation by providing City Safe Collision Avoidance Technology, Collision Warning with Full Auto Brake, a Blind-Spot Information System and Cross-Traffic Alert. In addition, the ISOFIX/Latch is a child safety seat that becomes part of the car's body structure; it is easy to install, adjust and remove. 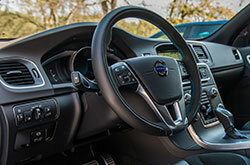 All these features have been highly rated in many 2018 Volvo S60 reviews. We are proud to serve the valley with top-notch luxury vehicles at Volvo Cars of Phoenix. 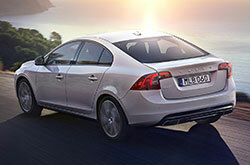 Come on down and take the new S60 out for a test drive today! Don't settle for the 2018 Infiniti Q50, Mercedes-Benz C-Class, Acura TLX and the Audi A4 when on the lookout for new vehicle models; visit Volvo Cars of Phoenix to check out the revered 2018 Volvo S60 in the Phoenix metro area. You may realize that its winning design and onboard technologies are just what you in a daily driver. Look over findings from our review too determine if the 2018 Volvo S60 is ideal for your needs and budget. 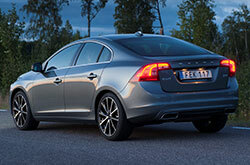 Also make sure you take a peep at Volvo financing and leasing offers on our site! 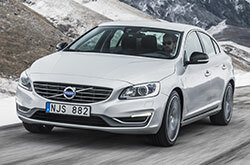 Interested in a Volvo S60 and looking for the latest financial incentives? Then visit us straightaway! Our well-researched review makes it a cinch for you to access the facts and figures you , and we hope it helps when it comes to making a sound vehicle purchase. 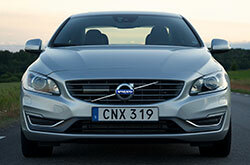 Stop by to love a test drive at Volvo Cars of Phoenix, where you can examine the Volvo S60 up close. Would you like a chance to see it in action before you visit? Take a look at our video to see its innovative cabin. 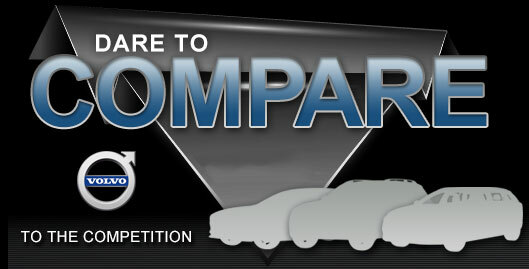 Purchase prices do not include tax, title, license and $499.00 doc fee. Prices include the listed rebates and incentives. Please verify all information. We are not responsible for typographical, technical, or misprint errors. Inventory is subject to prior sale. Contact us via phone or email for more details. *MPG Based on 2018 EPA mileage ratings. Use for comparison purposes only. Your mileage will vary depending on driving conditions, how you drive and maintain your vehicle, battery-pack age/condition, and other factors.